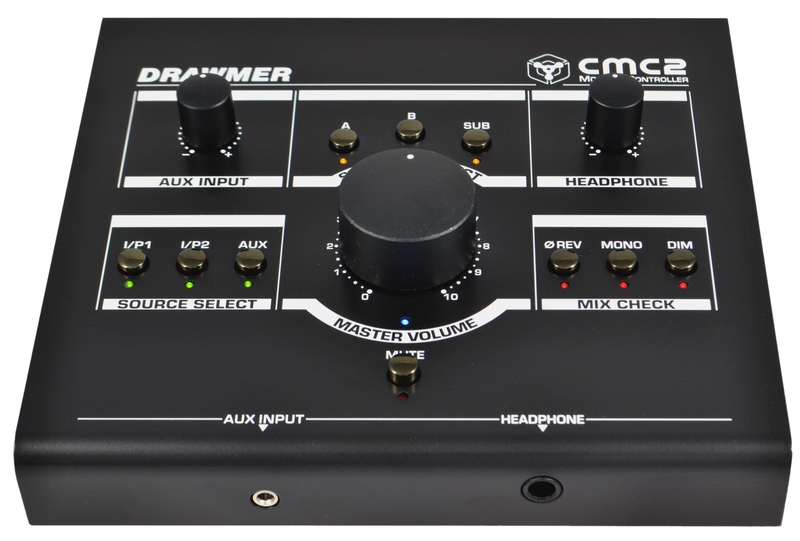 The CMC2 possesses all of the critical features of Drawmer’s popular MC2.1 and MC3.1 monitor controllers, including superlative fidelity, balanced stereo inputs, a 3.5mm unbalanced stereo aux input (with independent volume control), mix check facilities (phase reverse, summed mono, & dim), and support for two sets of stereo monitors, a subwoofer, and volume-independent headphones. 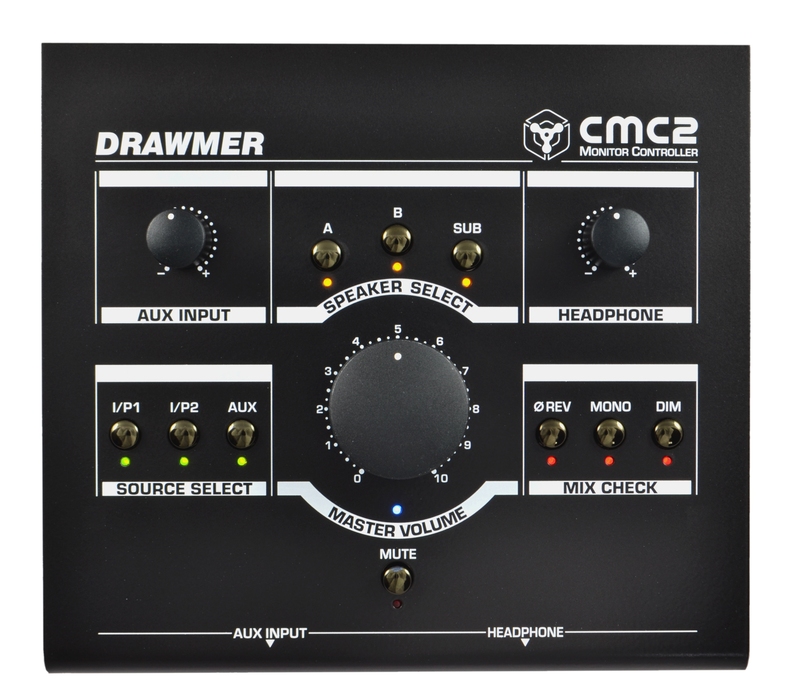 It leaves off the MC2.1 and MC3.1’s additional features, making it more cost-effective and well-suited to smaller studios. 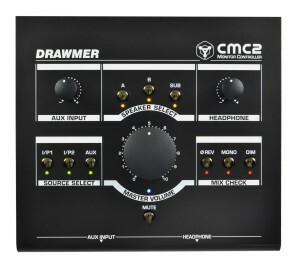 Most importantly, the CMC2 uses the same transparent audio circuitry that Ivor Drawmer and his engineering team developed for their hugely popular MC2.1 and MC3.1 monitor controllers. Its sound, or really lack of sound, is exactly what smaller studios so often lack and why they so often fail to produce recordings that successfully translate to other systems. 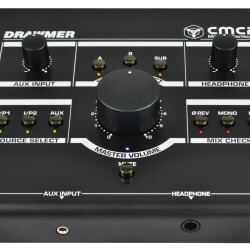 Of course, smaller studios are often on a tight budget, and some of the advanced features of the MC2.1 and MC3.1 are unnecessary for their needs. 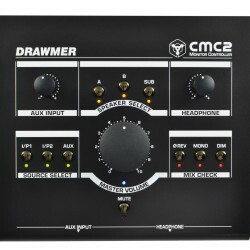 The new Drawmer CMC2 fits its niche perfectly, giving small studio owners big studio sound at a price they can afford.